Nsombi Ricketts. The assistant provost for diversity and inclusion will leave Northwestern to serve as the vice president for diversity, equity and inclusion at the Pratt Institute in New York. 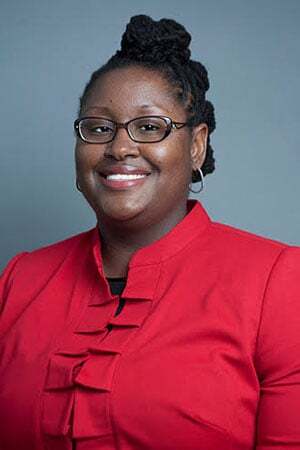 Assistant provost for diversity and inclusion Nsombi Ricketts will be leaving Northwestern to join the Pratt Institute in July as their vice president for diversity, equity and inclusion. Ricketts said her decision to move to Pratt was for a combination of both professional and personal reasons. While she said her time at NU was rewarding, Ricketts said she did not want to miss the unique opportunity to relocate back to New York City, where she was born and still has a support network. Before joining NU’s Office of Institutional Diversity and Inclusion in April 2017, Ricketts served as the assistant dean at The Graduate School, where Ricketts said she and her team recruited record-breaking numbers of underrepresented minority students and achieved the most diverse Ph.D. class in Northwestern’s history. Ricketts said she has been working in diversity and inclusion for more than a decade across multiple institutions. Ricketts said diversity and inclusion in the U.S. is an evolving field with an expanding scope. Universities must keep up with changing definitions of diversity and inclusion to accommodate changing demographics, Ricketts added. Among other projects and initiatives, Ricketts is part of the planning committee for this year’s 50th anniversary commemoration of the Bursar’s Office Takeover. Ricketts said the historic event is important to her because it led to the creation of the Black House and the Department of African American Studies. Ricketts — a former student at NU — said diversity and inclusion “wasn’t really a topic of conversation” when she was on campus. Now, she said she sees more visual diversity on campus and people of color in leadership positions. In the past year, Ricketts and her team also updated Northwestern’s diversity and inclusion website to better reflect diversity resources on campus, Ricketts said. She said her office has also been working on a University-wide strategic diversity and inclusion plan that will launch in the next academic year. “I think she’s done tremendous work in bringing together a decentralized campus,” Cockrell said.